The option period passed, the house hunter is now cruising to the closing date. Prior to searching for the new abode, the buyer requested a pre-qualification letter. During this stage, the lender discussed what loan options were available. Choosing the right home mortgage loan can be a daunting process. So many different types and different conditions, does the Buyer want a fixed or adjustable rate loan. Then the house hunter must determine what kind of mortgage, the most common for Buyers are conventional, FHA and VA loans, some of the less common loans include USDA and Texas Veteran’s Home loans. Fixed rate loans have the same interest rates year after year for the term of the loans. The Buyer’s monthly payment stays the same during the duration. This is true for whatever length of the loan from a fifteen year to a thirty-year. This is the best choice when interest rates are low. The House Hunter can lock in a good rate without fear of what will happen in the housing market. Adjustable rate loans known as ARMS in the real estate world, the rate remains fixed for a pre-determined amount of time and then changes to reflect current interest rates. For instance the Buyer can get a 5/1 ARM loan, the first five years are fixed and then the remaining years adjust on a yearly basis. These types of loans are desirable when mortgage rates are high and indications exist the rates may fall in the future. When they do fall, the Buyer can refinance the loan to a fixed rate locking in the lower interest. The next choice for the Buyer is what type of loan. 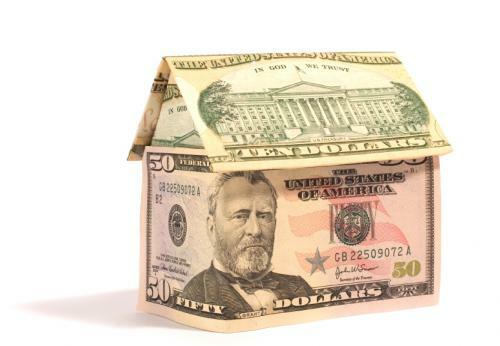 The federal government does not insure conventional loans and they can be conforming to the rules and regulations of Freddie-Mac or Fannie-Mae or they can be non-conforming. They have less requirements than federally insured loans. The down payment is higher and if less than 20% the Buyer will need to purchase Private Mortgage Insurance (PMI). The Federal Housing Administration (FHA) mortgage insured loans managed by the Department of Housing and Urban Development. The Federal Government insures the loan from default. Low down payments make this type of loan a great option for Buyers with little cash. The down payment is as little as 3.5% however, mortgage insurance is a requirement, increasing monthly payments. The U.S. Department of Veteran Affairs (VA) offers a loan program for returning soldiers and their families. These loans are federally insured. They offer loans with no down payments and are a great option for our veterans. Paperwork is stringent however can be worth the trouble. The USDA offers a loan through the Rural Housing Service and is a good option for house-hunters searching for a home in a rural town. Texas Veteran Loans created by Veteran Housing Program to help Texas Soldiers purchase a home with low-interest rates and no down payments. This entry was posted on February 26, 2014 by djltx. It was filed under Uncategorized and was tagged with 2014, business, Denton County, first time buyers, homes, Keller, Loans, Mortgages, North Texas, real-estate, Tarrant County, Texas.